See firefighters slide down a fire pole! 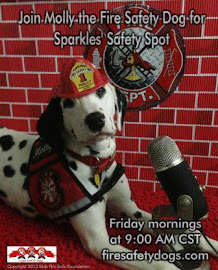 Video of Firefighter Dayna and Molly the Fire Safety Dog in this 140th episode of the live-streamed children's safety show, Sparkles' Safety Spot LIVE from Sparkles' Clubhouse! 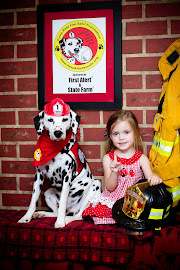 Our special guest was Firefighter Bo from the Little Rock Fire Department. 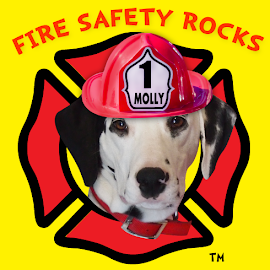 Firefighter Bo shared with the boys and girls what fire poles are and how they are used by firefighters at the fire station. 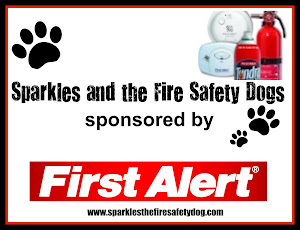 Labels: children's live streamed safety show, First Alert, Keep Kids Fire Safe Foundation, Molly the Fire Safety Dog, Poochie & Co.